Tinnitus is an invisible hearing condition that for people who have it severely can render them helpless and desperate. It’s a phantom sensation of noise that originates within the body and is only heard by the individual who has it. One in seven in the UK experience tinnitus to varying degrees, but for people with acute tinnitus, they can’t relax, have a conversation, or continue to be socially active or hold a job. In the past, tinnitus sufferers only sought treatment when the sound was really bothersome and were basically told to live with it by their GP; there was nothing they could do. Today, as people make healthier lifestyle choices, and go online to try to diagnose their symptoms, they tend to pursue treatment early on when their tinnitus is less severe. They’re also aware of new developments in sound therapy and want to try out new devices in the hope of reducing the sound burden of their tinnitus. Tinnitus can be set off by stress and anxiety, or major life changes due to physical or psychological problems. Moreover, stress exacerbates tinnitus; the more people hear the internal sounds the more they anticipate it – an endless loop known as hyper-monitoring. But anyone subjected to ongoing occupational or recreational noise exceeding 85 decibels is at risk for tinnitus. And although hearing protection is enforced in noisy work environments, young employees tend to blast music through their ear buds after work, and risk tinnitus anyway. Philip James of Kingswinford, Dudley has suffered from tinnitus since 2007, hearing a loud kettle boiling 90 percent of the time and it really got him down. While there is no magic bullet to cure tinnitus, management is possible and research is ongoing. According to the British Tinnitus Association (www.bta.org), there are two main approaches to treatment: education and providing patients with an understanding of tinnitus generation, the fact that it is amplified by anxiety and hyper-monitoring, and how to minimise its importance. The second part is using sound therapy to reduce the contrast between tinnitus and silence. Sound therapy includes tabletop “maskers” that play nature sounds or gentle music, or white noise, which can help draw attention away from the tinnitus. Hearing aids can offer relief because amplification allows the patient to hear more ambient sound, conversation, and other normal day to day noises. James visited an audiologist who fitted him with a sound therapy device called SoundCure Serenade which uses soft tones, known as S-Tones to provide relief. While traditional white noise “maskers” typically needs to be played at volumes higher than the patient’s tinnitus in order to cover it up, James’s device, called Serenade, played very soft, low volume, amplitude modulated sounds, pitch-matched to his tinnitus. It is the one of the few treatments developed exclusively for tinnitus, rather than as a side benefit. S-Tones are customised to each patient so that their pitch is matched to the person’s tinnitus sound. They are also modulated at a specific rate to stimulate neural activity in the brain. Researchers suggest this form of sound therapy has the effect of refocusing the brain and “giving it something different” to pay attention to. With this approach the tinnitus may or may not go away quickly, but the hope is that it will go away gradually through habituation. This helps the patient to eventually break the habit of “looking” for their tinnitus and experiencing relief and calmness. 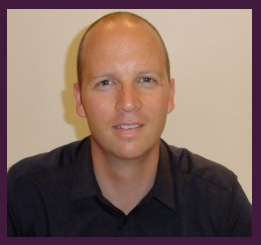 Steve Hale is an audiologist, specialising in hearing and tinnitus rehabilitation. His practice, Steven Hale Hearing Ltd., is located in Birmingham. For more information visit www.stevenhalehearing.co.uk.